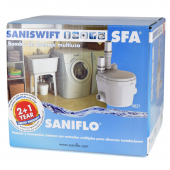 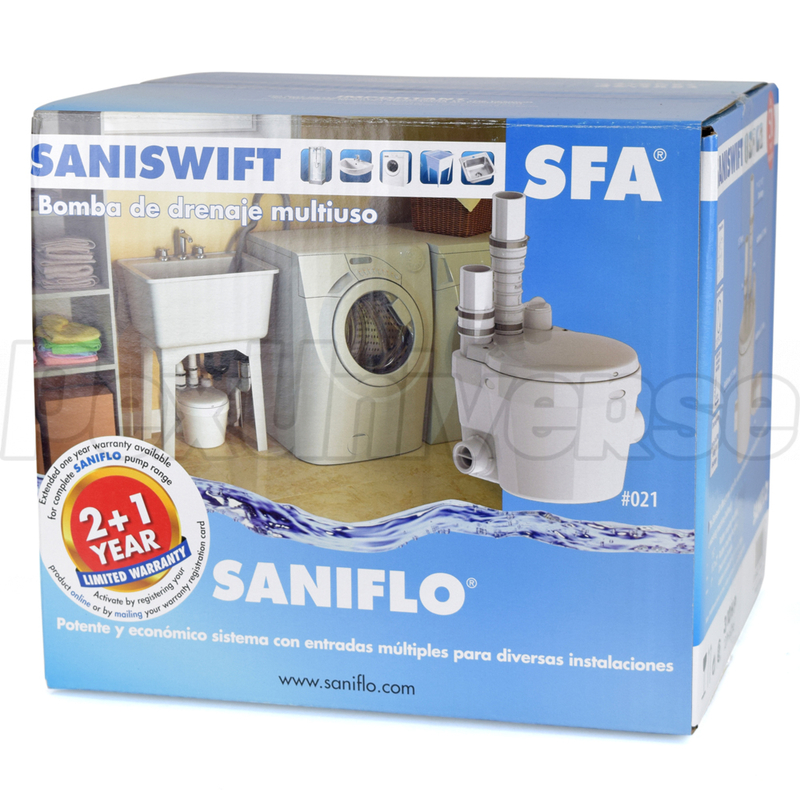 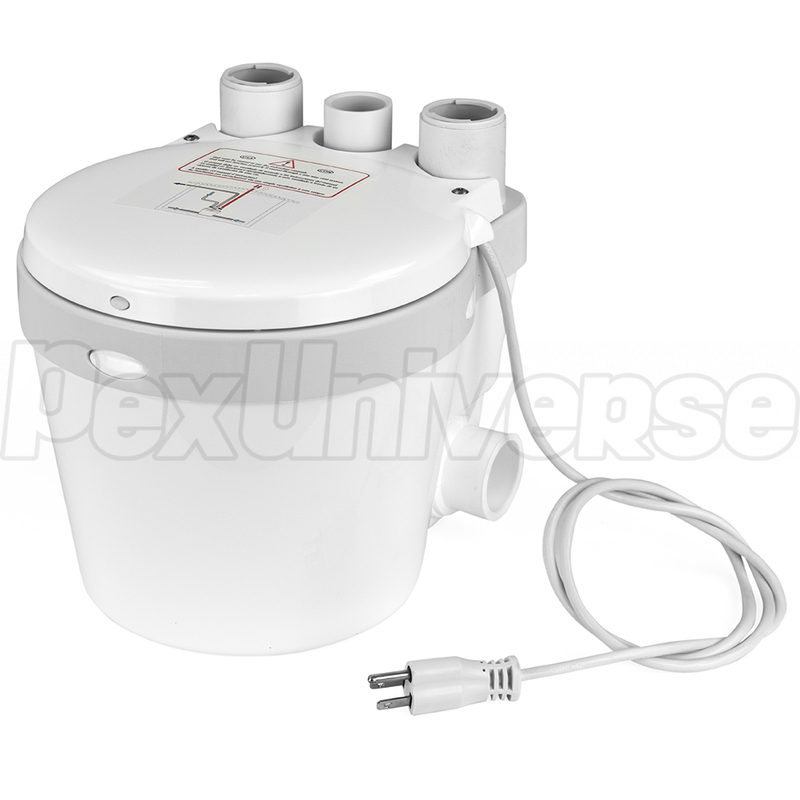 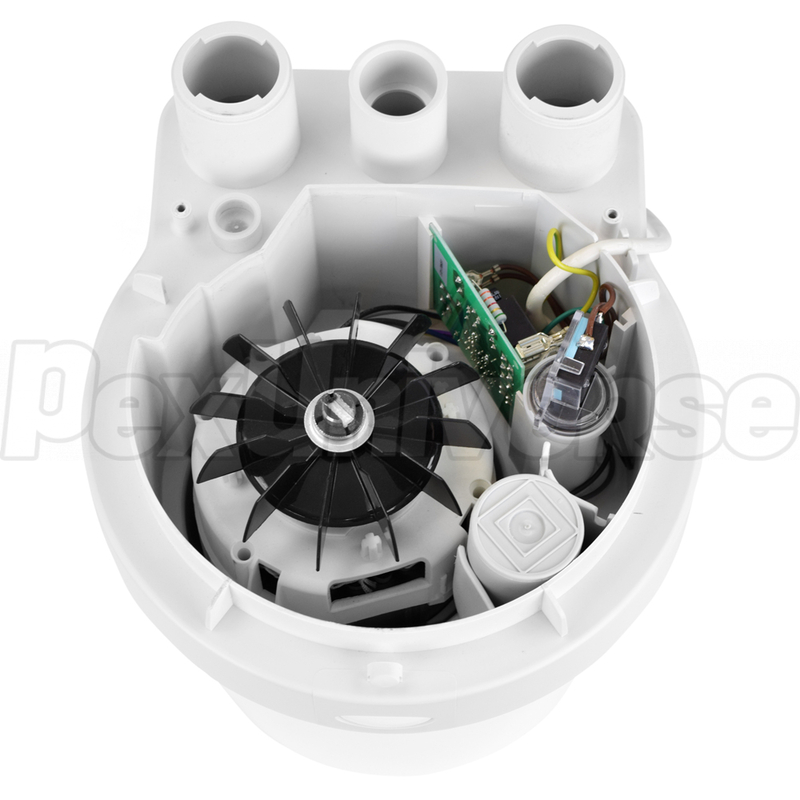 SaniSWIFT model drain pump incorporates a 1/3 HP pump build into a collector basin is intended for use in residential drainage applications such as washing machines (indirectly connected via laundry sink), dishwashers, bathtubs, kitchen sinks and others where these are located below the main sewer line. 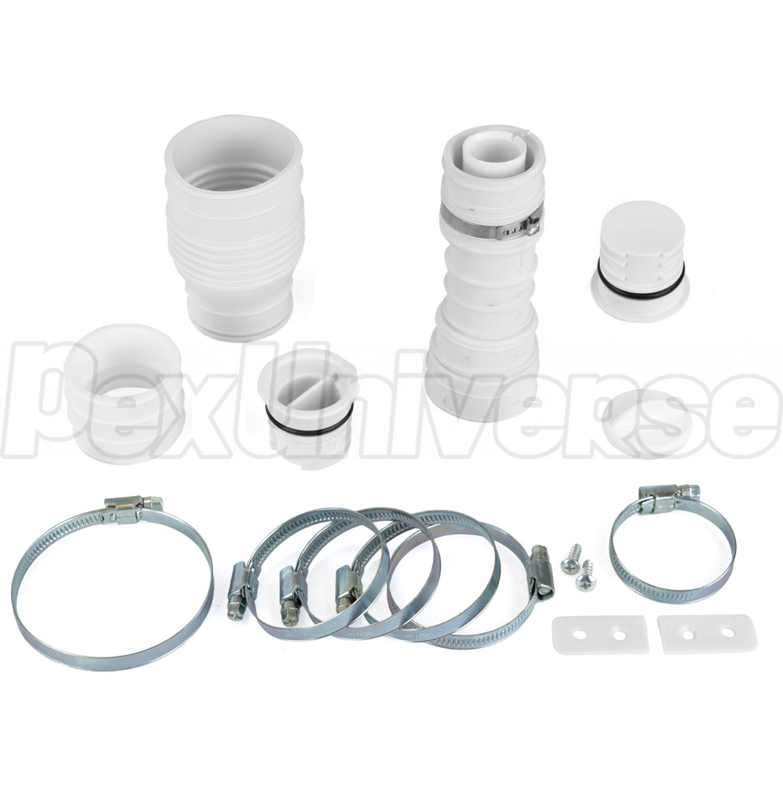 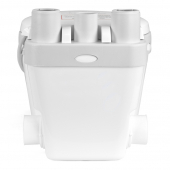 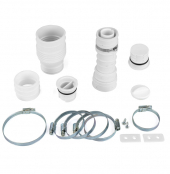 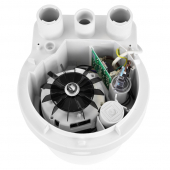 The basin features 1-1/2", 1-1/4" or 1" discharge (adapter included), (3) 1-1/2" inlets (2 - low inlets w/ built-in check valves on both sides, 1 - on top) and 1-1/2" vent connections. 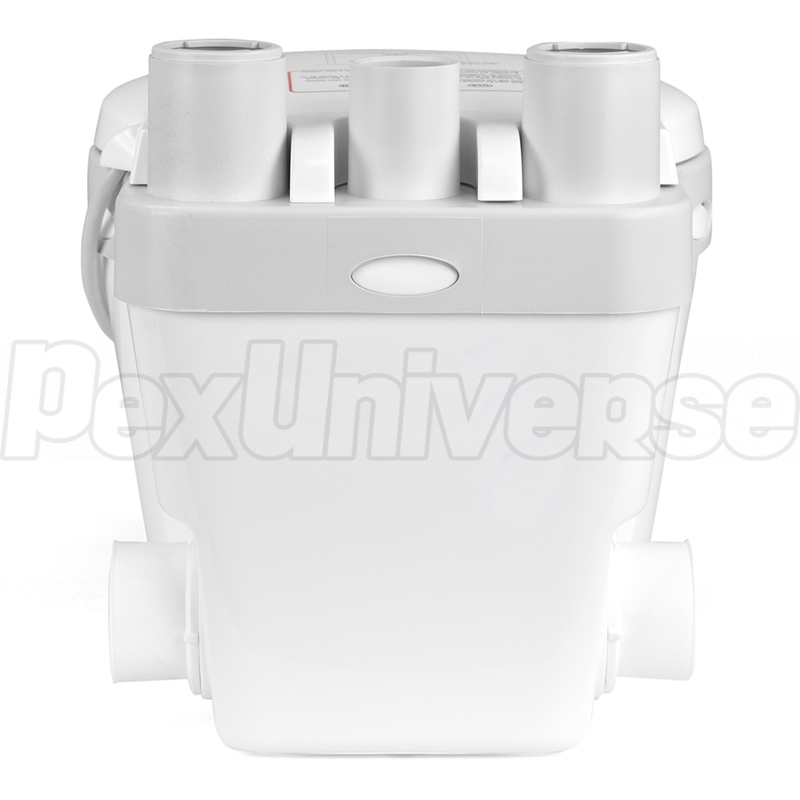 Basin dimensions (L x H x D): 9" x 8-3/4" x 10-1/4"